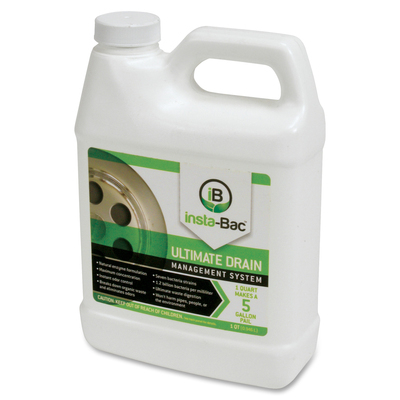 Disinfectant/deodorizer concentrate quickly eliminates existing organic waste and odors. The revolutionary blend of proprietary ingredients will also prevent future drain and odor problems in an effective, safe way. 1.2 billion bacteria per milliliter give you more digestive action in both aerobic and anaerobic conditions. With added molecular counteracting technology, the odor-control process starts instantly and continues through the course of bacterial decomposition of organic matter. Plus, its natural enzyme formulation won't harm pipes, people or the environment. Concentrate is perfect for use in drains, grease traps, sewers, septic tanks, trash cans, carpets, floors, toilets and more.